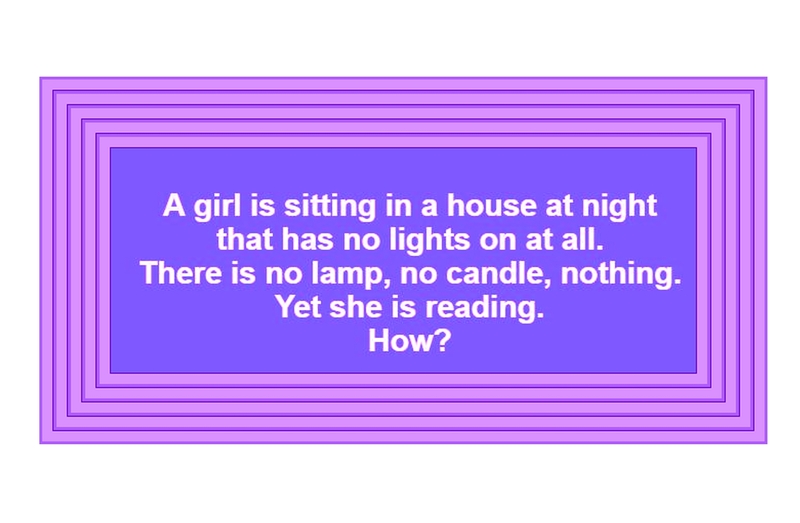 RIDDLE: HOW she is reading? A girl is sitting in a house at night that has no lights on. There is no lamp no candle,nothing. Yet she is reading ..